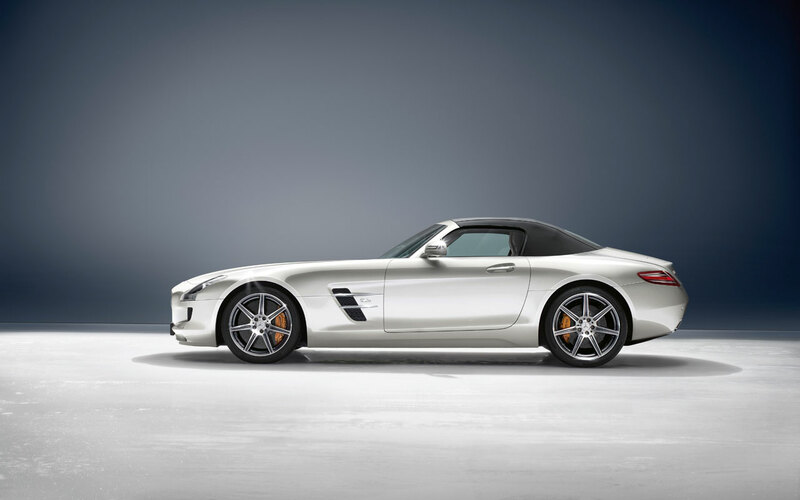 Affalterbach – The performance brand within Mercedes-Benz Cars is presenting a new dream-car: the SLS AMG Roadster. This super sports car thrills with a perfect synthesis of open-top driving pleasure, outstanding driving dynamics and systematic lightweight construction. The overall visual appearance of the new two-seater is marked by its purist design. 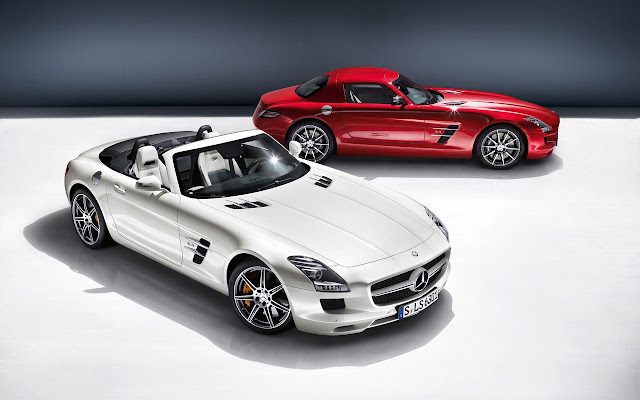 The new Roadster adds a second exciting dream-car to the AMG model family. Head of Design at Mercedes-Benz, Gorden Wagener: "As in the gull-wing model, the purist, athletic design immediately captures the attention. 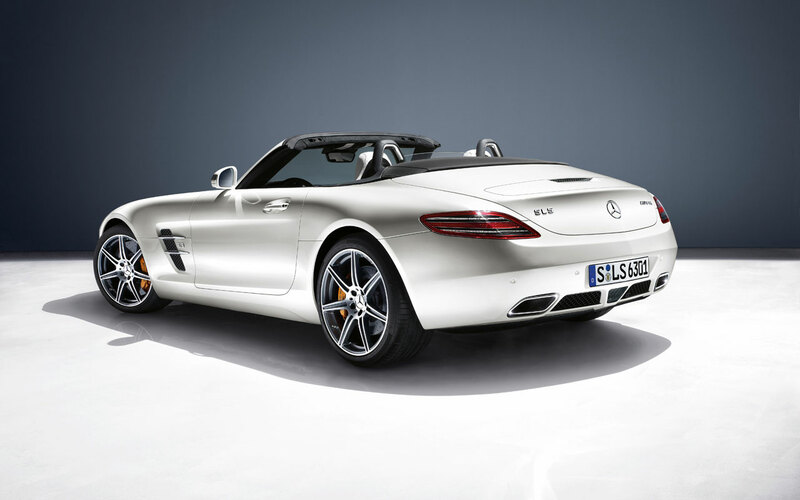 Whether with the roof open or closed, the SLS AMG Roadster is an impressive visual delight!" The perfect proportions are particularly memorable: a long bonnet, the greenhouse positioned well to the rear and a short rear end. Plus the automatically extending rear aerofoil, long wheelbase, wide track and short overhangs – in short, the open-top SLS AMG likewise exudes effortless dynamism and an authentic charisma. The pronounced shoulder sections are reminiscent of tensed muscles, and suggest sheer power in combination with the large wheels in size 265/35 ZR 19 (front) and 295/30 ZR 20 (rear). The attractive metallic paint finish AMG Sepang brown and weight-optimised forged wheels in a 10-spoke design, painted in matt black with a high-sheen rim flange, are available as new optional extras. Features reminiscent of the 300 SL Roadster, the classic dream-car from the 1950s, include not only the wide radiator grille with its large Mercedes star and the wing-shaped cross-fin, but also the fins on the bonnet and on the vehicle flanks. Like the SLS AMG Roadster, the 300 SL Roadster appeared slightly later than the original gull-wing 300 SL, but unlike in the former case both AMG dream cars are available at the same time. The AMG DRIVE UNIT – which like numerous other interior features is available in real carbon-fibre – is the central control unit in the centre console: it allows the driver to choose a personal vehicle setup, including adjustment of the AMG RIDE CONTROL sports suspension (optional). The AMG Performance steering wheel with its high-grade nappa leather lining and flattened lower rim section allows perfect vehicle control. The shift paddles and lower steering wheel bezel are of solid metal. The sensual experience in the SLS AMG Roadster is enhanced further when the soft top is open, and the powerful, naturally aspirated eight-cylinder engine with 420 kW (571 hp) and 650 newton metres of torque asserts itself and makes the heart beat faster with its typical AMG eight-cylinder sound. The fabric soft top can be opened and closed while on the move at up to 50 km/h; the fully automatic opening/closing process takes only eleven seconds. The driver only needs to operate the roof control unit conveniently integrated at the front of the centre armrest. 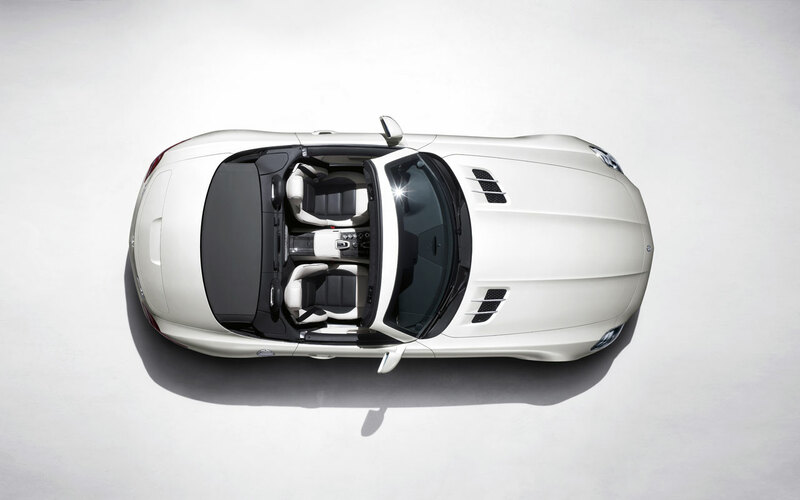 When open, the soft top is space-savingly deposited behind the seats in a folded Z-configuration. Three soft top colours – black, red and beige – are available to suit the nine exterior and eight interior colours.